Colt Stocks does a little bit of everything—from construction to excavation—so he works with cords regularly. His idea to create an extension cord lock came to him in a dream, and after a few rounds of prototyping, his solution is ready to help anyone avoid the typical cord-related hassles. The small cuff holds two cords together and prevents them from unplugging. 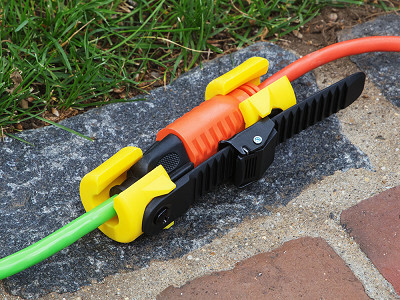 An adjustable, zip tie-like design can fit many different sized cords, and can help out with many jobs—like vacuuming the house or running yard tools outside. With the cuff securing your cords, there’s no longer a need to knot them together, which can damage them (and is generally just a bad idea). Wherever you’re working, Colt’s smart cuff keeps cords exactly the way they should be—safely connected. Hello Grommet fans! 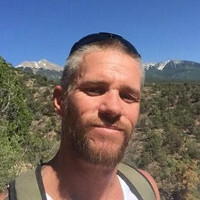 I’m Dan Taylor, Project Manager at Cord Cuffs. I am excited and honored to have Cord Cuffs featured as today’s Grommet. Our product was born out of necessity, and invented by construction workers, so its tougher than anything else out there. Our goal is to help as many people as possible and I'll be happy to answer any questions. Colt Stocks does a little bit of everything—from construction to excavation—so he works with cords regularly. His idea to create an extension cord lock came to him in a dream, and after a few rounds of prototyping, his solution is ready to help anyone avoid the typical cord-related hassles. The small cuff holds two cords together and prevents them from unplugging. 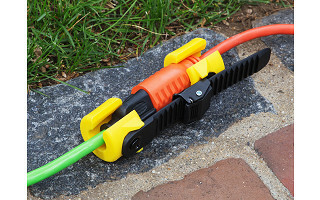 An adjustable, zip tie-like design can fit many different sized cords, and can help out with many jobs—like vacuuming the house or running yard tools outside.